When foreign domestic workers come to Singapore to work, new lives await them. But when they return home, they have to restart their lives. Some former domestic helpers told The Sunday Times that they managed to pick up new skills here which helped them make a decent living when they returned home. Some also experienced culture shock back home and felt that the new ideas and attitudes they had acquired from working in Singapore were out of sync with those of their families'. Three former domestic helpers share how their lives have changed since they left Singapore. 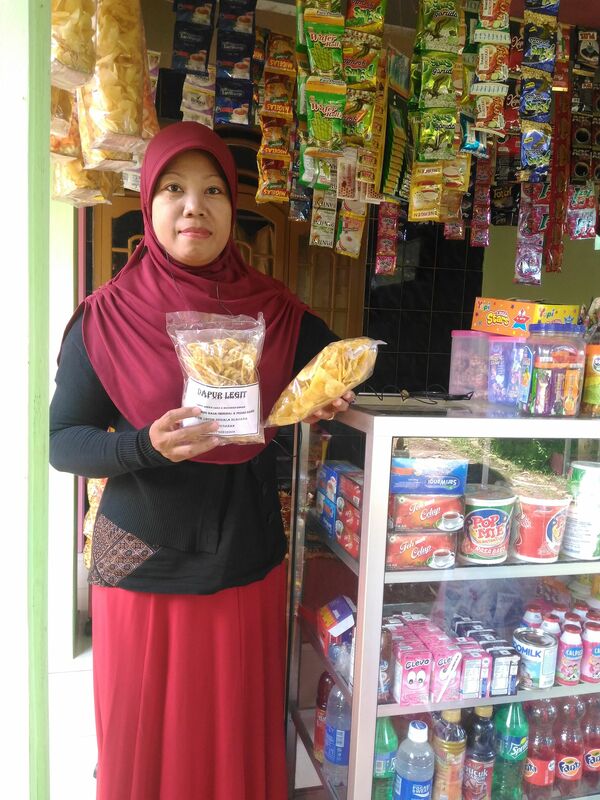 Less than a year after leaving Singapore, Ms Irawati, 40, had set up two businesses in her hometown of Cilacap in Central Java, Indonesia. She sells baked goods and runs a provision shop. The single woman worked for nine years in Singapore and returned home in February last year. "I worked for a Singaporean family. The husband and wife are working professionals and they have two daughters, who are now 13 and 16. When I started working in Singapore, it was very hard for me to speak English. My employer gave me a Bahasa Indonesia-English dictionary, which I used when communicating with others. Her children were about four and seven years old at the time, and I also learnt English from their school books. I always wanted to go back to Indonesia with new skills. In 2011, I took computer lessons at the Sekolah Indonesia Singapura (Singapore Indonesian School). My employer had asked me what I would do if I returned home and suggested I take a business course. She was thinking about my future and how I can earn money. I'm very thankful. Between 2013 and 2015, I took a few courses, which I paid for myself. Adjusting to life back home was a bit hard at first... Now, as a small business owner, I have to make decisions for everything myself. But it helped that I learnt discipline when I was working in Singapore. I often baked cakes and cookies for the family by following recipe books. I learnt more, such as how to decorate cakes, at a baking course at the Humanitarian Organisation for Migration Economics, a charity that supports and advocates the rights of foreign workers. I also took a more advanced computer class and a micro-business management course at Aidha, a non-profit organisation. It felt great when I graduated at the top of the class for the Aidha course in 2015. I couldn't believe it - there were 166 people in the course. After I graduated, I felt I had spent enough time in Singapore. I told my employer that I wanted to apply what I had learnt. She said I could go if I was really ready and if I was not, I could stay. I decided to go home. When I was in Singapore, I had saved up to start my own business. I had around $5,000 and I opened a bakery with about $3,500 in April last year, two months after going home. I sell items such as cupcakes, banana cakes, birthday cakes and brownies. I also sell ice cream and es campur, an Indonesian dessert with shaved ice and ingredients such as coconut, syrup and jelly. When I opened my bakery, I realised that customers not only bought cakes, but they also asked for daily necessities. So I started selling items such as eggs and sugar, much like a provision shop in Singapore. In October last year, six months after I opened the bakery, I set up a provision shop near my house. My 25-year-old brother helps me run my shops and we ask our neighbour to help out when we get a lot of orders. Adjusting to life back home was a bit hard at first. When I was working as a domestic helper, I did what my employer told me to do. Now, as a small business owner, I have to prepare, plan, bake and make decisions for everything myself. But it helped that I learnt discipline when I was working in Singapore. Apart from learning new skills, if I want to make my business grow, I need to have discipline. For example, I want to take the business online too. I'm still learning and learning." Ms Norma Casinova, 54, returned to the Philippines in June last year after working in Singapore for more than 20 years. Her last employer, whom she worked for for six years, paid for her to attend financial literacy lessons. That put her on the path to starting her own business back home. Today, she owns a pig farming business and two farms and also runs the family farm. She and her 60-year-old husband have a son, 23, and a daughter, 31. "Over 23 years, I worked for five families in Singapore as a domestic helper. I learnt how to start a business fairly late during my time in Singapore. My last employers were an Australian couple, both 38 - the husband works in a hedge fund, his wife is a housewife and they have three young children. Ms Sarah Druce encouraged and sponsored me to take a course in financial literacy and business skills in 2012 at Aidha, a non-profit organisation where she volunteered at. Aidha provides financial literacy programmes for foreign domestic workers and lower-income women. I later also became an Aidha volunteer doing research, training and administration. At Aidha, I learnt to save. I hadn't saved much for about 15 years of my time in Singapore. I also learnt about leadership and managing profits. While I was doing my course, I used $1,000 of my savings to start a small pig farming business in my hometown of Victoria, in Tarlac province in the Central Luzon region. I asked two of my nieces to manage a pig pen. I gave them an allowance and put one of them through secondary school and the other through college. Later that year, I bought a 12,500 sq m rice farm in Tarlac for about 700,000 pesos. I started paying for it in December 2012 and completed the payments in April last year. I had to cut short my Singapore contract when my 80-year-old mum died in April last year. It's not easy to adjust to being home after 23 years... I try to get my nephews and nieces to be productive. I told them I started from zero. I've worked hard for my businesses. I want them to learn from me. Some of my family members do not understand me. After her death, I thought I should go back to take care of the family and the farmland. Even though I had businesses in the Philippines, I was actually not ready to go back as I wanted to keep earning money in Singapore. Before I left in June last year, my employers gave me $5,000. They also sent me some money after I went back. Ms Druce said the money was a token of appreciation for my work, as well as a long-service stipend as I had worked more than 20 years as a helper. I was shocked as I did not expect that. It was a blessing. Apart from the rice farm I purchased, my family has long owned a 2,000 sq m plot of land. I arranged for dragonfruit trees to be planted there in 2014. We now have about 200 dragonfruit trees and we also grow vegetables. I make dragonfruit popsicles and muffins to sell. My husband works on the rice farm and the family plot with my son and 25-year-old nephew. My daughter is a housewife and lives with her husband and two young sons in Baguio City. It's not easy to adjust to being home after 23 years. Some people around me seem lazy, which irritates me. Time is precious. I try my best to get my nephews and nieces to be productive. About 10 of them live in Tarlac. They are in their teens and 20s, and some are studying or have factory jobs. My nephews and nieces are not used to thinking about the future. It's hard to teach people if they are financially illiterate. I told them I started from zero. I've worked hard for my businesses, even though I was a helper. I want them to learn from me, like the two nieces who helped me with rearing the pigs. Some of my family members do not understand me. I tell them: They are grown up, they have some education, it is time for them to be independent. If they think you are there to support them, they won't learn. After I came back, I bought another 7,000 sq m of farmland with some of the money my Australian employers gave me. I want to grow other crops besides rice and dragonfruit. After the sugarcane on this piece of land is harvested, I want to grow lime trees as they can be harvested more frequently." Having been a domestic helper for almost three decades - with nearly 21 years spent in Singapore - Filipina Ellen Elecanal finally returned to her home country in October last year. 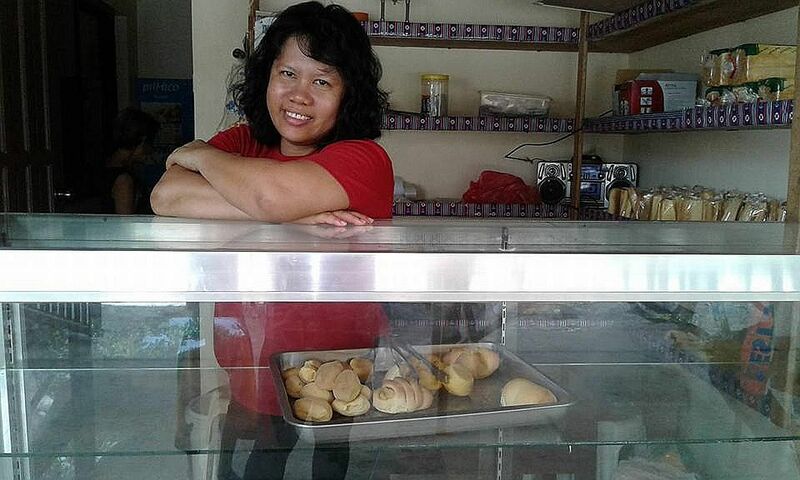 The 48-year-old, who is single, is now doing what she loves for a living - making and selling bread in her own bakery in her hometown of Igbaras in the Philippines' Iloilo province. "I left the Philippines to work when I was 19. Before Iwent to Singapore, I was a domestic helper in places such as India, Britain and Hong Kong. Being a domestic helper is a tough job and I am a hard worker because of it. Even now, with my own business, I am a workaholic. My last 22 years as a helper before I returned to the Philippines was spent working for a British family, who moved from Hong Kong to Singapore. I looked after their daughters, who are now 20 and 22 years old. Having been away from home for so long, I thought about when I would get to go back and when I could enjoy my own life. I got a house built in my hometown about five years ago, where I now live with my parents. I am the second of eight children. Two years ago, I used my savings to open a bakery in my hometown and got one of my sisters to run it for me. The plan was for me to take over when I returned for good. In this way, by the time I was home, I would already have a source of income. I love baking and my speciality is bread, which I've been making for more than 16 years. We've had to adapt the bread to cater to local tastes as the European bread I used to make is less sweet than Filipino bread. I have four employees at my bakery now and our doughnuts always run out, maybe because we are right behind a school and children like them. I knew I would get culture shock after having been away for so long, especially compared to Singapore, where things are orderly. Traffic here can move as slowly as a snail. I eased back into life in the Philippines by making four trips home in 2015 and three trips last year before returning for good in October. I also signed up for a financial literacy programme in Singapore for a few months, an initiative of the International Labour Organisation. After that, I became a trainer with the programme in 2013. During the course, we also learnt to say no to the demands of the family that we cannot meet and that family values are not defined in terms of financial assistance. This gave me the courage to go home. I was active in the Filipino community in Singapore. For about 15 years, I was a volunteer with the charity ACMI, the Archdiocesan Commission for the Pastoral Care of Migrants and Itinerant People. I helped other domestic helpers as a befriender. I tell my friends that planning is a must before they return home for good. Even though my employer was good to me, I'm free at last. I don't have anyone telling me I have to do this or that. My time is my own now."